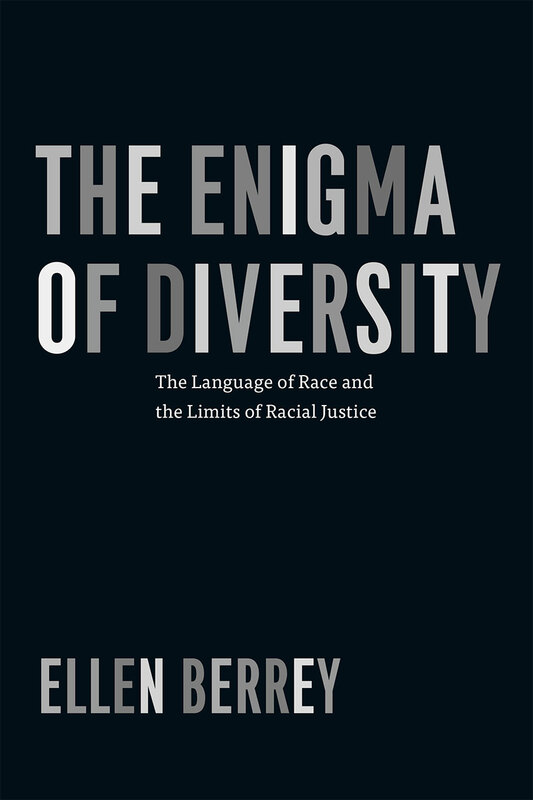 Ellen Berrey digs deep into those questions in The Enigma of Diversity. Drawing on six years of fieldwork and historical sources dating back to the 1950s and making extensive use of three case studies from widely varying arenas—housing redevelopment in Chicago’s Rogers Park neighborhood, affirmative action in the University of Michigan’s admissions program, and the workings of the human resources department at a Fortune 500 company—Berrey explores the complicated, contradictory, and even troubling meanings and uses of diversity as it is invoked by different groups for different, often symbolic ends. In each case, diversity affirms inclusiveness, especially in the most coveted jobs and colleges, yet it resists fundamental change in the practices and cultures that are the foundation of social inequality. Berrey shows how this has led racial progress itself to be reimagined, transformed from a legal fight for fundamental rights to a celebration of the competitive advantages afforded by cultural differences. "In this important book Berrey shows how the demands for inclusion of the racially oppressed during the Civil Rights Era were translated in universities, communities, and corporations into practices to keep the powerful in control. Berrey has deconstructed the symbolic politics of diversity and helped us understand the fundamental importance of substantive rather than formal diversity." "Ellen Berrey presents a comprehensive and insightful analysis of the rhetorical and doctrinal limits of diversity. The aspirational features of diversity, particularly inclusion, are laudable goals for any societal institution, but diversity never really eradicates racial hierarchies or the permanence of structural inequality. . . . . Berrey’s work is a valuable addition to the literature for political scientists, sociologists, and constitutional law scholars." "Berrey deftly demonstrates how contemporary definitions of diversity have resulted in civil rights-era claims for racial justice being replaced with despairing, tokenistic institutional practices that invest more in diversity as symbol than as a meaningful catalyst for creating greater inclusion. . . . In a macro sense, Berrey has perhaps produced a quintessential exploration of the counterintuitive effects that may result when fluid ideological meanings combine with brittle organizational practice. More narrowly, her insightful observations across time, location, and context have uncovered how malleable, 'feel good' definitions of diversity become the apparatus for frustrating opportunities for real racial progress."